Tonight should see the first episode of "Conquer The Universe With Astrology: The Radio Show." I say should, because after all we are in the dreaded Mercury Retrograde Shadow Zone... because Mercury Retrograde is so much fun, it should get a little more time to play with your plans, right? Hey, don't worry: I know my astrology. There are back-up plans. Lots of 'em. We go live at 7 PM PST tonight, and the Chat Room should be open a few minutes beforehand. With luck our first scheduled guest... Christopher Witecki of Soulgarden.tv... will be there too, and he'll be just as informative and entertaining as he always is. And, after tonight's show... if you've found me on Facebook, or found the "Conquer The Universe" fan page there... within 48 hours after the show, you'll receive your Free Bacon! Hi everyone! You can still find all my regular stuff at The World's Mightiest Astrology Dating Site for free... and you can still check in here for updates on my upcoming show... but in the meantime, let's have some fun! Imagine for a moment that you are the producer and director of a major motion picture... an unlimited budget and any actor or actress in the world (including the ability to raise the dead to fill key roles if you like) to fill the roles. There are twelve roles. 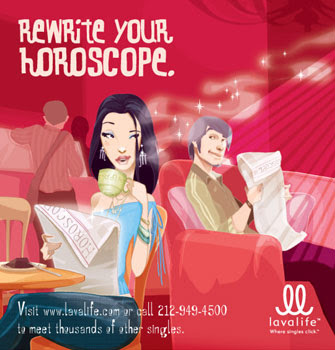 Each sign of the Zodiac is one of the characters you'll be casting. Your assignment: pick one or more actors/actresses of a given Sun Sign (or who have a distinct influence for that sign in their birth chart) who you think would do a great job of conveying the qualities of their sign. Now: your turn. Who do you like for what role, and why? Capricorn: Today an attractive stranger will see you in a coffee shop. He will invite you out to dinner, and then for a romantic evening at his secluded cabin in the woods. You will forget to tell anyone where you are going. You will never be seen again.